Collection of edged weapons NOBLIE replenished with rarity exhibit. 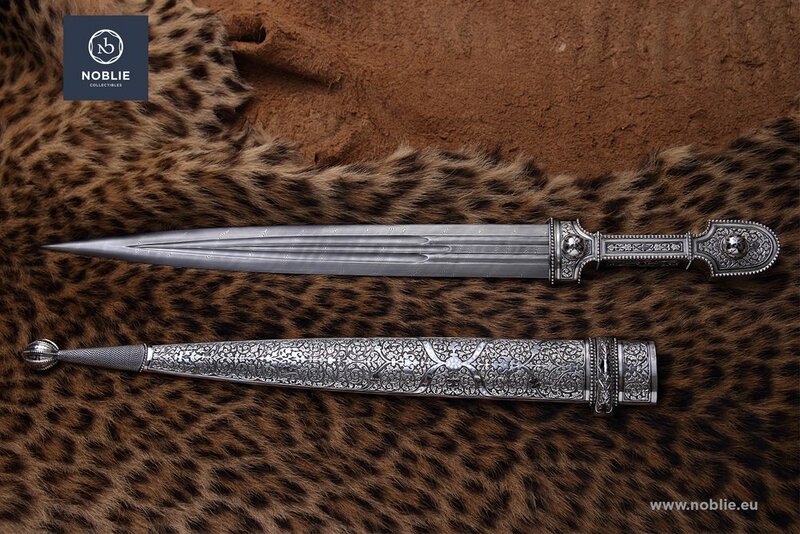 We present to your attention the collectible silver dagger of the Caucasian type. This type of daggers was used by troops on Caucasus region. 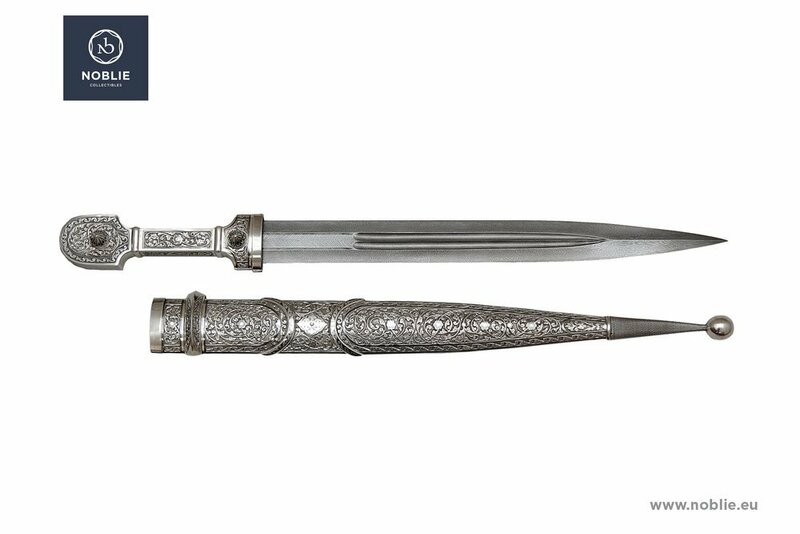 The dagger was made by knife makers and jewelers by the samples of the original Caucasian daggers of the XIXth century. Technologies of metalworking and decoration of edged weapons are the most fully observed in the production of these daggers. (Stamping, hand engraving, silver blackining). Blade is forged from Damascus steel. 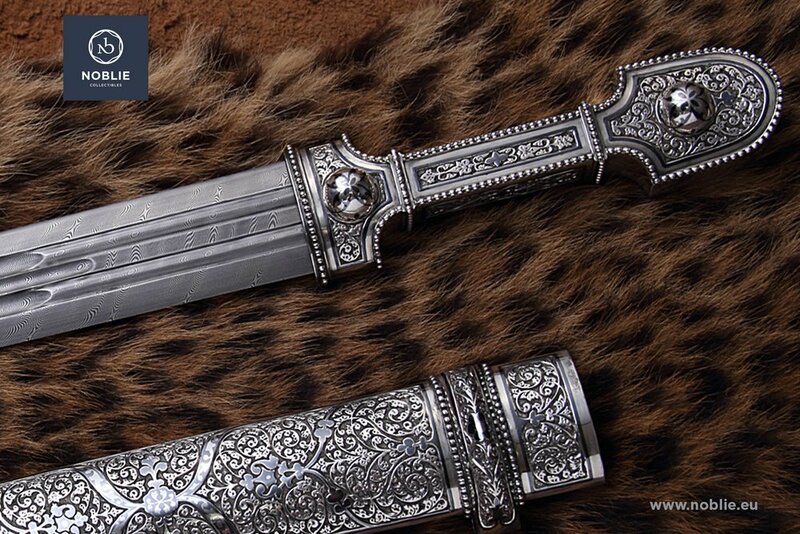 Scabbard and handle are made of silver. At the moment, the Dagger is sold and is in a private collection. The company NOBLIE can make the Dagger for order, the manufacturing period is 4 months. For order please contact by e-mail [email protected] to our manager.